An action packed forest defense. Teddy bears are cute. Swords are cool. Samurai are awesome. Do we all agree? If so, does this mean that a “Sword wielding Teddy bear filled Samurai game” will be “cute, cool, and awesome?” …Maybe…? 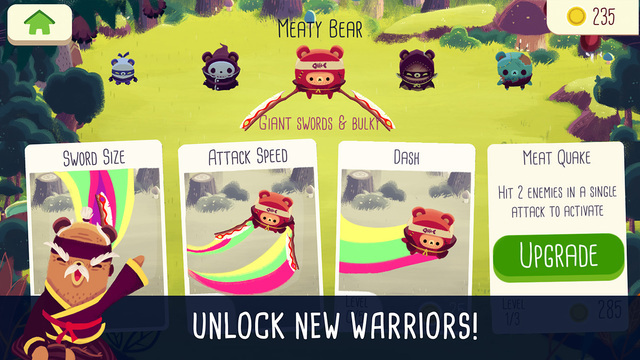 Bushido Bear is an Epic game (cute + cool + awesome = epic?) 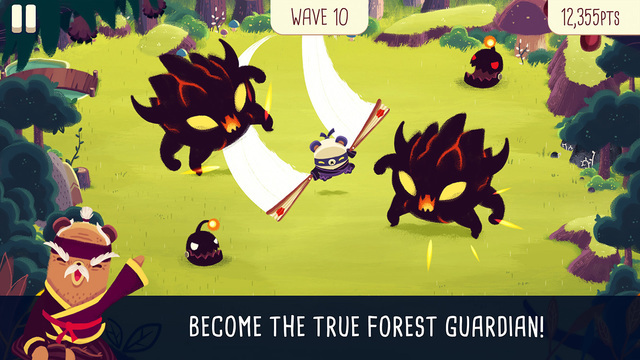 featuring not 10, not 100 but 9 super cute samurai bears on a mission to defend their homeland – A large forest – from from possessed scarecrows, burning rock monsters, mutant pigs, and much, much more. The controls you’ll use to get back at your attackers are super simple and easy to use. By drawing a line from your bear to the enemy/s you’d like to attack, you can slice at your enemies by simply drawing one line. When drawing your “Attack Path” one thing you must keep in mind is that, “you must not” collide with an enemy, only pass near enough to hit it with your sword. This can prove hard to do, especially with enemies that move quickly around your board, meaning sometimes you’ll need to wait until your enemies attack you before attacking back. This means you’ll need to “dodge” attacks. 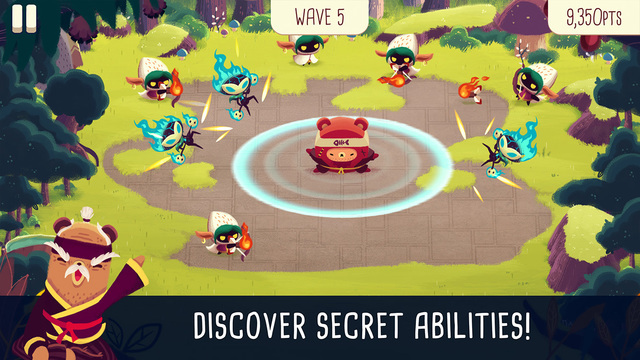 Dodging attacks in Bushido Bear is even easier than attacking. To dodge an attack all you need to do is tap somewhere on the screen where your samurai bear can safely dash to without getting hit. As is the case with most Spry Fox games, there is actually much, much more to Bushido Bear such as, powerups, upgrades, and awards, that could make our review 2 to 3 thousand words longer, but we’ll leave the rest up to your Sensei in Bushido Bear. 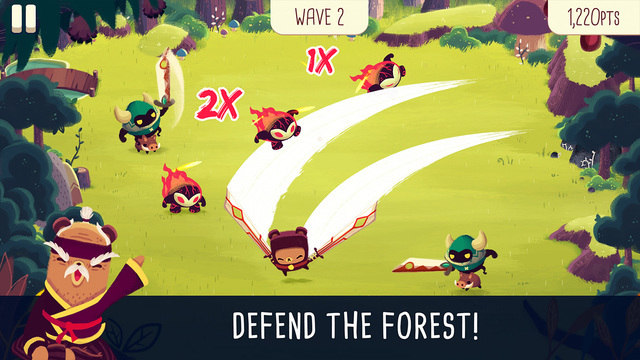 If you’re looking for a new kind of “Tower Defence”, how about trying out “Forest Defence” with Bushido Bear?